Prima Dental Classic Steel burs are purpose built for general dentistry tasks, ideal for cavity preparation and dentine removal. 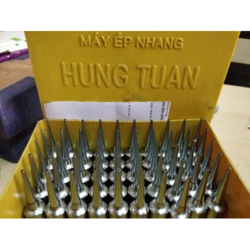 Our steel burs combine detailed crosscut designs with the highest quality alloy steel. Robust and flexible, Prima Dental Classic Steel burs are strong enough to cut through crowns and sensitive enough not to shatter porcelain. As a reputed firm, we are engaged in presenting a quality range of MS and SS Cone upto 40 MM. The Cones are built with high quality base material bought by the trusted dealers of the industry. It has dimensionally accurate and provides long lasting service life. Proper enduring and hardening test is done on these products as per the standards. sieve on 3- legged stand, jointless. We offer high quality Steel Cone that is manufactured using best raw material. 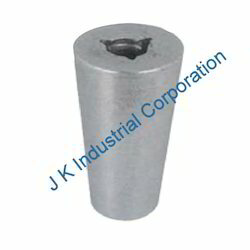 Our Steel Cones have proper dimensions which help in proper installation and are very much reliable. We are looking for export queries only. - Motor: 0.5 to 7.5 HP. Owing to the rich industrial experience and expertise in this business, we are engaged in providing Double Cone Blender Machine(DOUBLE CONE BLENDER). We are among the reputed organizations, deeply engaged in offering an optimum quality range of Industrial Steel Cone.